I enjoy making dishes from what I call Lost Recipes – dishes that were perfectly good and tasty but fell out of favor when newer, trendier foods came along. This one looks to be a treat although I will have to substitute walnuts or something else for the hickory nut meats. The squirrels and I race to see which of us can collect the hickory nuts first, and I usually lose. I first found this receipt pasted in the front of a cookbook from just after the turn of the century, but when I searched a little I found several books in which it was published beginning in 1883. There were many more receipts for Custard Cake, I really like this one from the Royal Baking Powder Co., 1898. I may have to make it for the nostalgia, my grandmother was born in January, 1898. We wouldn’t want to wrap this up without a chocolate version, and this one came from 365 Cakes and Cookies: A Cake or Cookie for Every Day in the Year. I may have to make this one by the recipe for the Mister on Valentine’s Day and then slather the cake in chocolate frosting. “Mix 8 tablespoonfuls of grated chocolate, 5 tablespoonfuls of granulated sugar, ½ cupful of milk; boil until it thickens and let cool. 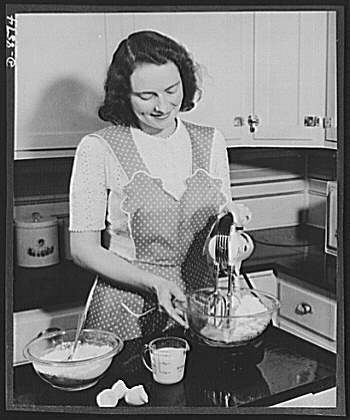 Then take 1 ½ cupfuls of light brown sugar, ½ cupful of butter, 3 eggs, ½ cupful of flour, and 2 teaspoonfuls of baking powder; pour into the custard and add 1 ½ cupfuls of flour and ½ cupful of milk; flavor with vanilla. Bake in layers.